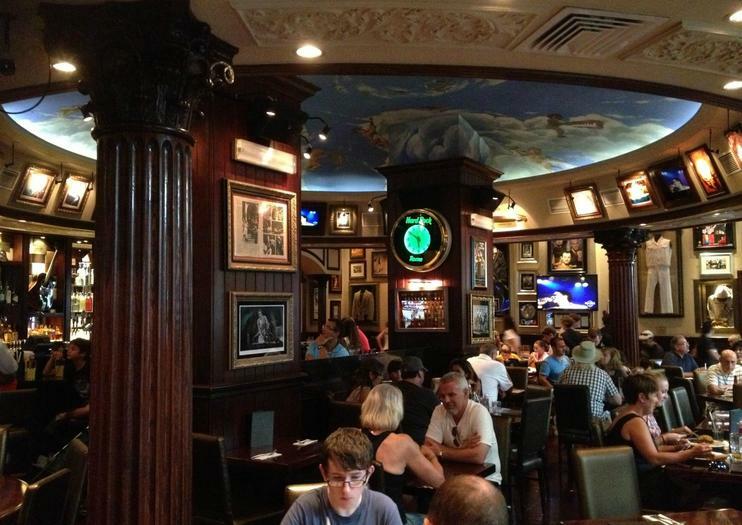 Fans of the Hard Rock Cafe chain know that throughout the world, every restaurant looks pretty uniform. But Rome has always played to its own tune, which customers will notice immediately – a ceiling fresco that at first seems like every church in the city at closer scrutiny reveals cherubs rocking out on their very own instruments! The memorabilia found at this Hard Rock location lives up to the hype, with items ranging from the iconic clothing of Elvis, John Lennon, Jimi Hendrix and Elton John to instruments donated by Flea, Tom Petty, and Nancy Wilson of Heart. The food is all-American; something many tourists may scoff at in Rome, but is exotic for the Italians and a welcome taste of home for expats and those who have been traveling for a long time! Hard Rock Cafe Rome is at Via Vittorio Veneto 62 and open seven days a week. They have non-stop service from noon to midnight or 1am; their merchandise store is open starting at 9:30am until closing. Take a break from Rome’s ancient attractions with a modern-day historical experience at the Hard Rock Cafe Rome. With this skip-the-line entry to the popular restaurant, you’ll avoid the lines and receive priority seating for a meal of American favorites like a burger, mac ‘n’ cheese, or barbecue ribs. See rock ‘n’ roll memorabilia such as a trench coat worn by John Lennon, a patent-leather suit worn by Bono, and pages from Jim Morrison’s yearbook. Select from three menu options to suit your tastes.